I turn away from the door to run back to my bed that is now running away from me. I try to spin some spider webs while the ground gives way into the deep abyss. I scream but no voice comes out of my open throat. The alarm goes off. My head spins as it hits the roof of the double decker bed while I reach for my phone. I was in my boarding house. I am on my own. Welcome to the independent life. A life without Mom and her cooking. A life without my comfy bed and my hugging companion, Eeyore. A life where I have to stand alone and make my own decisions. For the first time in my 31 years of existence, I have decided to move away from home. Sounds ordinary, but it’s one of the dilemma of those who belong to the so-called Peter Pan generation. Going independent is a leap of faith to the likes of us. Being in the Peter Pan generation sounds funny to some. According to social scientists, this is the new “adultescent” generation. We are the 25 to 40 year old age bracket people who are afraid to grow up. We change from one job to another. We don’t marry early. We don’t want to have children of our own. And we live with our parents. Changing all that would mean bigger responsibilities. I don’t really have a solid conclusion on how this Peter Pan generation came up to be. Living with parents until one gets old is embedded in the Asian culture. But it has gone way beyond exaggerated as most of us have become dependent on our loving parents whose hands were not made of iron just as their predecessors were. I wonder if we have been too pampered by the generation ahead of us. If you would look back at the generation living in the 1950s (ever seen some flicks from Sampaguita Pictures, anyone? ), parents are stricter and harsher. Some of them don’t give entitlements or even choices to their children. They have the authoritarian mindset which came straight from our Spanish predecessors. They got strict daily timelines and opposing them would mean punishment. Some parents would not prioritize their children’s education, more so their dreams. Yet, my Mom, living with such parents herself, would yearn for the simplicity of those ages. Radio and television were considered luxury. A short black and white episode of the Road Runner was enough to keep her entertained when she was in elementary. They didn’t have preservatives to worry about. Children could have nature as their playground. People can stroll safely under the moonlit night without fear of muggers (unless they were overly fed with a diet of aswang and capre stories). Choices in life were not so complicated and men lived in grand contentment. Then come 1970s and 1980s. This is the generation who have been opened to more choices, more opportunities, and greater prospects of prosperity. This is the generation who did not want their children to experience the harshness and the poverty they have endured during their youthfulness. They have built more movie houses and added color to popular Darna flicks. The human palette wanted a boarder menu that’s why they added burger and fries to their diet. They wanted their children to play more dynamic toys by introducing Nintendo and G.I. Joe action figures. This is the generation who wanted to see grander horizons. This is the OFW generation. And that almost faded picture of your mustached dad wearing oddly-sized bellbottom pants and Ray Ban shades while proudly grinning in the middle of the empty, sandy background in Saudi Arabia is living proof of this generation. Then the millennials were born. If the OFW generation were given more choices, these choices doubled for the millennials. From schools, toys, malls, restaurants, movies, activities, and more stuff, our eyes ogled as we confuse ourselves by choosing which is the best for us (which would still depend on the budget). We are living in a world that has suddenly become fast paced, right after our OFW dads and moms have brought in the luxuries and competitiveness of the global market. We wanted to achieve more, that’s why we multitask (like watching TV with a burger in mouth while putting clothes in a running washing machine). We tend to move faster because we think everything is urgent (except for EDSA). And because of the vast list of choices given to us, we have a lifetime to choose which would match our passion, capability and needs. This is the reason we can’t settle down. And yet most of us are afraid of the more essential responsibilities in life. I don’t mean this generation is lazy. In fact, we are active, sociable and passionate. By the time we reach 30, we continue to explore ourselves by travelling, learning new hobbies, or showcasing discovered talents. But we are afraid of deeper connections, higher promotions, or breaking off from the comfort zone. When one gets married, here comes bigger responsibility. When one becomes the boss of a company, here comes bigger responsibility. When one owns his own house and lives alone, here comes bigger responsibility. We are afraid of making mistakes. We are afraid of judgement when we screw up in our responsibilities. That’s why we’d shy away from them. But that should not last forever. One day, Peter Pan has to leave Neverland. The magic of childish freedom and fairy dreams did not keep Wendy and the Lost Boys in the island forever. Soon enough, the boy in green tights will realize that their wooden swords were nothing compared to an opponent bigger than Captain Hook – and its name is responsibility. It’s not an enemy. It’s a friend. But most of us – the so-called Peter Pan generation – believe we are not worthy of it. We are afraid of failing. We are afraid it would turn against us and kill us completely if we don’t meet its criteria. Wrong. It’s the mindset of perfectionism, which we don’t admit, that’s killing us. Even Dr. Strange himself, a brilliant man, thought he has to be ready before taking up a bigger responsibility. Talking with the Ancient One for the last time, she told him she does not see his future but she sees in him a purpose. “But I am not ready.” He admits. “No one is ever ready.” She answers. It does not take one to be ready to grow up. It does not take one to be ready to become more responsible. It just takes courage. Deciding to jump into it is death defying. Getting there is fulfillment. And yes, I feel fulfilled when I could handle my own budget, do my own shopping, and finish washing my clothes. Getting into a whole new scenario in life is a leap of faith for me. 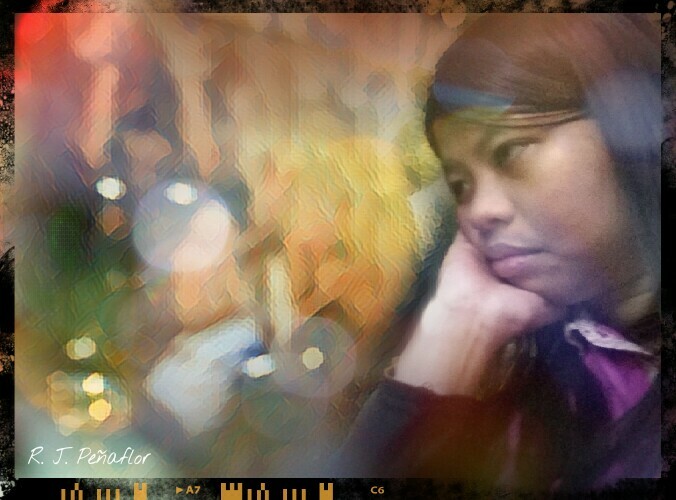 Deciding to live alone is just one step into bigger destinies. And I have to take them one step at a time. But still, I can’t wait for Saturday. No matter how I prepare food for myself, nothing beats Mom’s friend rice, hotdogs and eggs for breakfast. I couldn’t wait to come home on a Friday. I’ve missed my mom over the week since I moved in to a friend’s boarding house last Monday. For the first time, I gathered my courage to live a life of independence. I consider this as another breakthrough in this season of change…and, just so, it’s a beautiful breakthrough. I am already 31 but there are just normal things for grown-ups that I couldn’t dare face. It was at this stage that I realized that I need to workout and I need to have a regular dental cleaning every six months. It was also at this stage that I have to get out of my comfort zone and live independently. I have to do this as I begin to work at a new company in the heart of the busy Ortigas suburbian jungle, where monstrous traffic choke EDSA endlessly and expensive UV express rides drain our wallets ridiculously. I need to move in to a nearer place to keep a clean slate from tardiness. I have wasted enough time travelling and sleeping in the bus while missing my social life. I don’t have to wait until sixty to know how I have missed so many dates on my calendar. But the first day of independence was quite a dread. Without a mom who would cook for me and nearly having nothing except clothes for the next four days, I was nearly battered with homesickness. I missed my own room, I missed my stuffed toy Eeyore, and especially my mom and this place I call home. I tried to sleep at my first night despite hearing the mosquitoes buzz tauntingly at my ear. I tried to dream the night away while wondering what to eat the next day. My mornings became easier during the following days. I familiarized myself on how to get to the office easily, kept myself neat and tidy at that short travel time, and shared my breakfast time with the other trainees at the office pantry. My mind began to plan on what I need to buy and looked for a zumba class at a nearby mall. Here I stand as a late bloomer. Still, I enjoyed my first week of independence and I’m getting used to it. 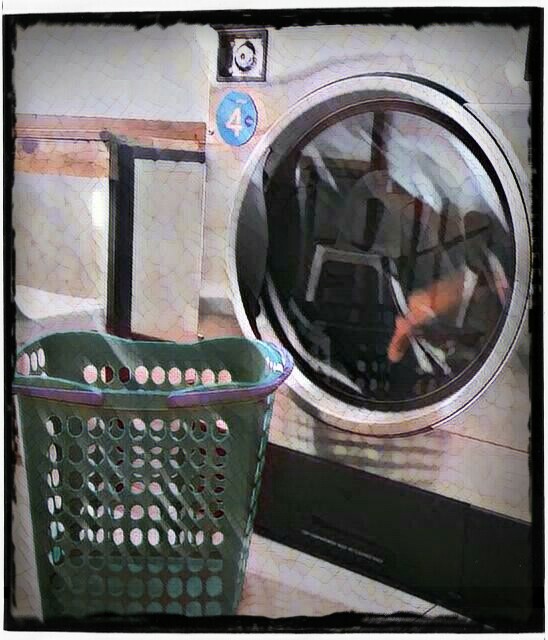 But as much as possible, I need to get home on weekends so I could bring all my dirty clothes to the laundry. Now, that’s a good reason to see your folks. I was never been a fan of General Antonio Luna. Known for his infamous temper, I ever wondered why he was enlisted in the roster of Philippine heroes. 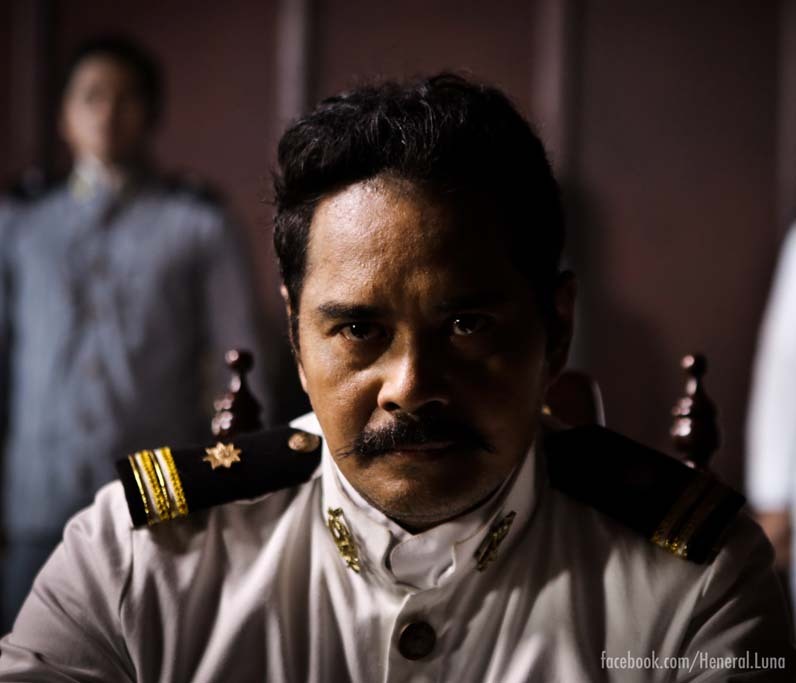 At the first week of the “Heneral Luna” screening, I dismissed it as another average period film. Until the social media buzzed with endless accolades for the film. Although oozing with curiosity, it took me four weeks before seeing it. Notwithstanding the fact I watched it without a date (which I never ever had yet), I got more than what I’ve bargained for. Much of the movie plot revolves on the Philippine revolution, which coincided at the close of the 19th century. Here was General Luna, pompous and ready to defend his principles — in a defensive move. Not the wimpy kind of general who would shrug his shoulders when the government was ready to deal with the American conquerors, Luna was stubborn to push the Westerners off the newly instituted Philippine Republic. His ways in disciplining his soldiers, mostly the cowardly ones, and his laid back fellow generals was offensively harsh to many of them. Those who resisted his orders were immediately slapped with Artikulo Uno: those disobedient to the general’s orders can be subject to punishment and death without undergoing military court. His defense on his stance offended many of President Emilio Aguinaldo’s cabinet members. This had triggered a conspiracy to eliminate the headstrong general. But one thing made Luna’s name forever etched in the pages of history was his love for his Motherland. Never mind the women that he had, the rough way he dealt with his enemies and even allies. Until the end of his life, he was brave enough to stand as a man for his country’s freedom and not for his selfish priorities. With the the film’s quick plot, I was surprised when it ended after almost two hours. In a short span of time, every historical personality became much alive, and even personal, by the way the actors portrayed them. John Arcilla, who played the role of Luna, convinced me that the general was more than a rash character from my school textbooks. His eyes had this hint of madness that made Luna look much like him (add it with the general’s mustache). Yet, he had also embodied the other dimensions of his character very clearly. No need to impose how realistic this film should be, as the facts in this part of Luna’s life was well narrated even with a few symbolisms, especially his assassination. (Oops, sorry for spoilers) Jerrold Tarog, the director of his film, had been ingenious in weaving history and relating it to our social consciousness. He had reintroduced a tragic but praiseworthy figure once forgotten in our classes. With that he brought an awakening to a demoralization that has never been cured until now. This film showed us more than Luna’s character. Though it was not proven in history who killed Luna (though most viewers had implied it to be the president himself), his death had shown how much we are still dealing with the so-called cancer of society: treachery, greed, and selfishness. As Luna was eliminated by Filipino soldiers, the film revealed how his own countrymen was ready to put away unity for the sake of their own selfish agendas. So it is with our society today. I’ve seen this scene many times with our leaders, eliminating one another through character assassination. But I believe it’s not only hitting the political arena, but it goes out to all of us, as well. Luna’s question echoes to many, “Kaya natin magbuwis ng buhay sa pamilya pero para sa isang prinsipiyong makabayan? (If we can sacrifice our lives for our own families can we not do it for our country?)”. What I got was more than a story, but a reality that we have to tackle and address. I once thought that Marilou Diaz-Abaya’s Jose Rizal (1998) was the best period film my generation could see. Jerrold Tarog had proven himself a genius in recreating a period film, making it worthy for Oscars. It brought back my faith that we Filipinos can create noteworthy period films that can be entertaining, mind-opening, and worth the sacrifice to see it.